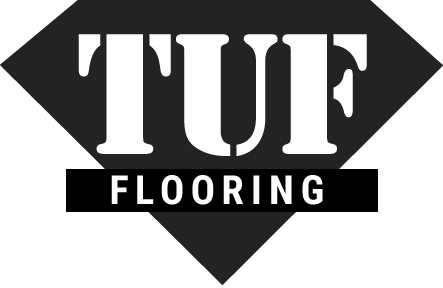 At TUF Flooring, we feel that regular care and maintenance of your area rug is the best way to ensure that it retains its beauty over the long term. Even if you don’t have a lot of spare time, there are some quick and easy tasks that will do wonders to protect the look and longevity of your area rug. For instance, preventative maintenance will go a long way to keep your rug looking as good as new for years to come. A great way to start is by making sure that family and guests remove their outdoor shoes before walking across your area rug. This will minimize the amount of dirt that accumulates on it. As dirt particles can damage rug fibers, less dirt means less damage. For most of our area rugs, a daily to weekly vacuuming with a manufacturer’s approved appliance will suffice to keep them feeling and looking fresh. If your rug is in an area with light to medium traffic, a twice-weekly vacuuming will be fine. However, for rugs in heavy-traffic areas, a quick daily vacuuming is recommended. Other preventative maintenance tips include: placing carpet protectors under furniture legs, reducing the area rug’s exposure to direct sunlight, and limiting the amount of (heavy) furniture moving. For shag area rugs, it’s very important to protect the cable yarn when vacuuming. Not only can long yarns on from the area rug wrap around your vacuum’s beater bar, also known as a rotator brush, but the brush itself can damage your rug’s fibers. To prevent such damage, before vacuuming, consult your vacuum manual to see about disconnecting the beater bar. Once it’s disconnected, set your vacuum to the lowest height setting, which provides the best suction. You may also want to consider buying a carpet rake to loosen any soil before vacuuming. We also recommend that, on occasion throughout the year, you either arrange for a professional carpet cleaning (especially one using the hot water extraction method) or that you shampoo your area rug yourself. Just be sure to consult – and follow – the manufacturer’s cleaning guidelines beforehand to ensure maximum effectiveness and a beautiful end result. An additional cleaning tip worth noting is to never dry clean your area rugs or use bleach on them. Consider making periodic cleaning of your area rug a part of your annual spring and summer cleaning routines.